What is ISOP? Each September and January, UCL Student Support and Wellbeing organise the International Student Orientation Programme (ISOP) to help make students' transition into life in the UK and studying at UCL as smooth as possible. ISOP is for all non-UK students who are starting their studies with us this September. The programme is optional and free of charge. Students can choose whether to attend or not as part of their online pre-enrolment. The ISOP week runs between 17 September and 23 September 2018. However, the exact dates of talks and events depend on students' type of study. Welcome to UCL. This session includes an opening speech from a senior member of UCL staff, after which students will find out what support they can access during their studies. The session will end with a presentation from a former UCL student. Life at UCL. Students will hear from Students' Union UCL and UCL Careers about what activities they can become involved in during their time here. There will also be a Q&A panel with our Global Ambassadors on various aspects of settling into life at university. Life in London. During this session, a doctor from Ridgmount Practice will provide advice on accessing healthcare in the UK and a representative from UCL Security will give students tips on staying safe. A panel of our Global Ambassadors will share their experiences of living in London. Ask an Ambassador. After the talks students will have the chance to speak with our Global Ambassadors, who are current UCL students, and ask them any questions they have face-to-face. Affiliate students will have their 'Meet Your Department' sessions on Thursday 20 September, where students will visit their admitting department to meet the affiliate tutors and discuss module selection. Throughout the ISOP week there are also several social events and campus tours organised by Students' Union UCL as well as the 'Banks Hub' where several of the main UK banks will be present to assist students with the process of opening a UK bank account. Online ISOP is available for any students who are unable to attend the talks in person. 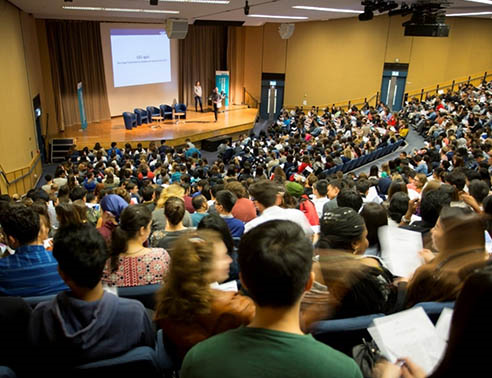 More information to assist students with preparing to come to UCL and in their first few weeks is available on the 'New Students' and 'International students' sections of the UCL students' website - staff might also find useful information on these!